Christmas magic in the land of the chateaux - Loire Valley, France. 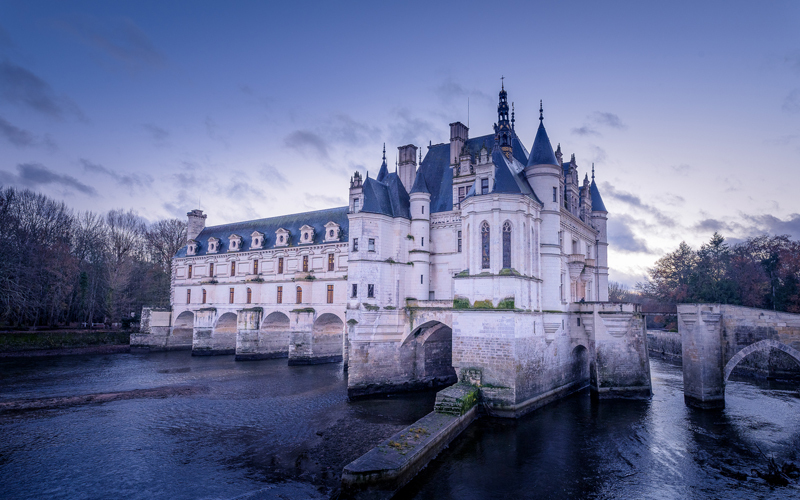 Amboise, Azay-le-Rideau, Chenonceau, Chinon, Langeais, Loches… From the beginning of December to the beginning of January, six of the greatest Loire Valley châteaux get into the festive spirit with exceptional tours and events: it’s “Christmas in the land of châteaux” in Touraine. 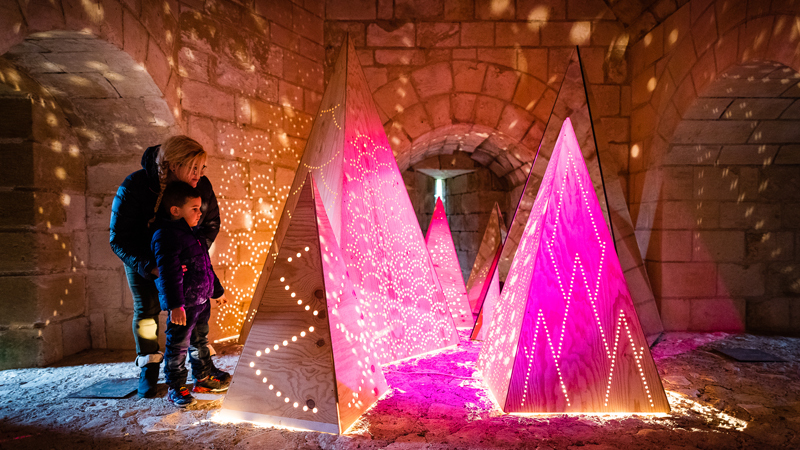 This event involves a tour of six of the most famous Loire Valley châteaux with key iconic Christmas themes that put a sparkle in the eyes of children and grown-ups everywhere. Imagine a giant Christmas tree covered in more than 2,300 decorations, sugar sculptures with multi-coloured sweets, dozens of candles and braziers creating an interplay of light and shadow, a huge Neapolitan Nativity scene full of little scenes and characters, a maze of Christmas trees in ultra-contemporary shapes… From the 1st of December until the 6th of January, each château creates its own world and after one, two or three visits, you soon feel like you’re ‘collecting’ them, one discovery leading you irresistibly to another. Royal Château of Amboise: Christmas through the centuries. The royal chateau of Amboise will explore the evolutions of Christmas traditions from the Renaissance time to present day. For the 2018 edition of “Christmas in the land of chateaux”, the main theme will be the “angel”, as their figures belong to the festive tradition. Visitors will find the angels displayed in various rooms of the chateau during the festive season. 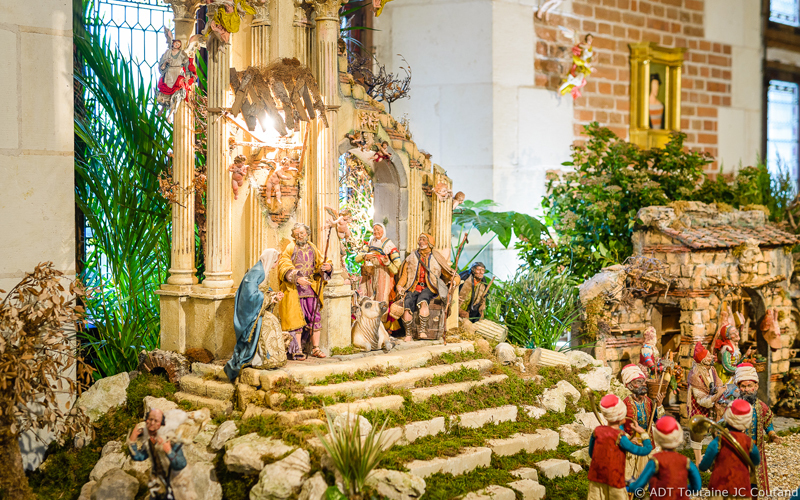 Entertainment: a family friendly guided tour dedicated to “Christmas through the centuries, a story for children”, also a special audio guided tour. Château d’Azay-le-Rideau: a sweet Christmas. Of all the pleasures associated with the Christmas period, treating oneself to sweets is high on the list… And that’s perfect because, all kinds of sweets and candies will be found all over the chateau of Azay-le-Rideau for “Christmas in the land of chateaux”. 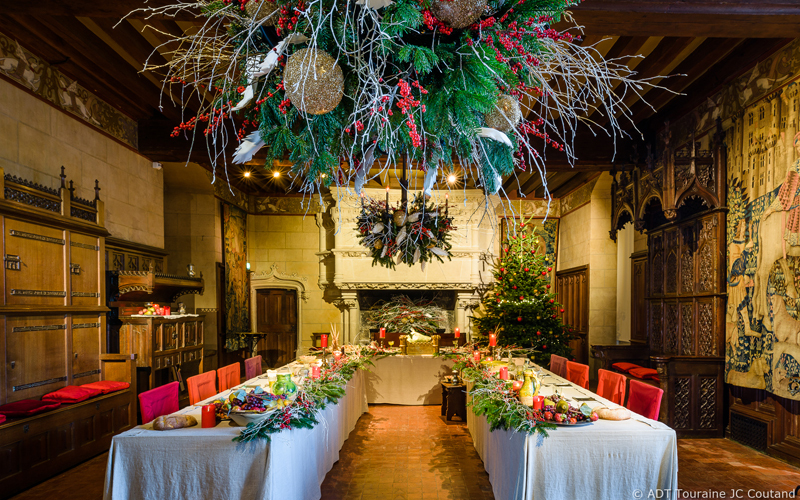 As you tour the rooms of this precious Renaissance chateau: the living room, the kitchen, the dining room, the attics….you will discover the astonishing Christmas decorations beautifully arranged and you will be immersed in a sweet, delicious and festive atmosphere. Enjoy it fully! Entertainment: “sweet Christmas” tours are scheduled by reservation and tale readings will be organised during the school holidays. 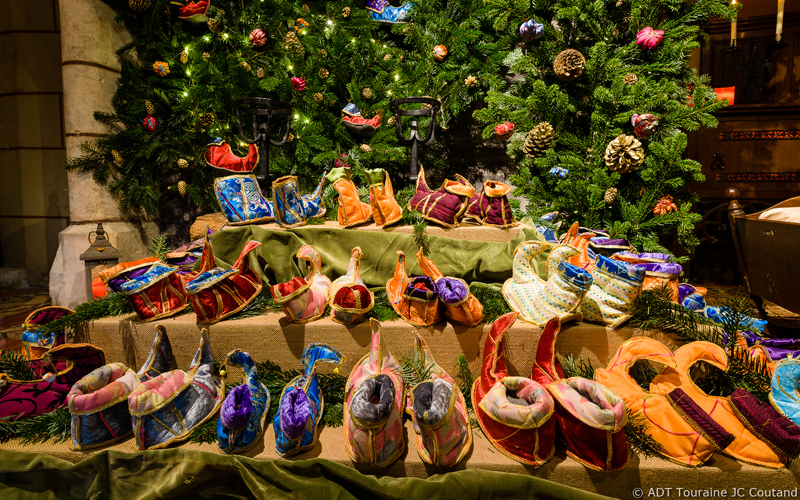 Château de Chenonceau: Christmas at Chenonceau… inspired by Queen Catherine de Medici. The floral workshop of the chateau of Chenonceau is unique in Europe. The staff is busy all year round creating floral decorations for the chateau’s rooms. 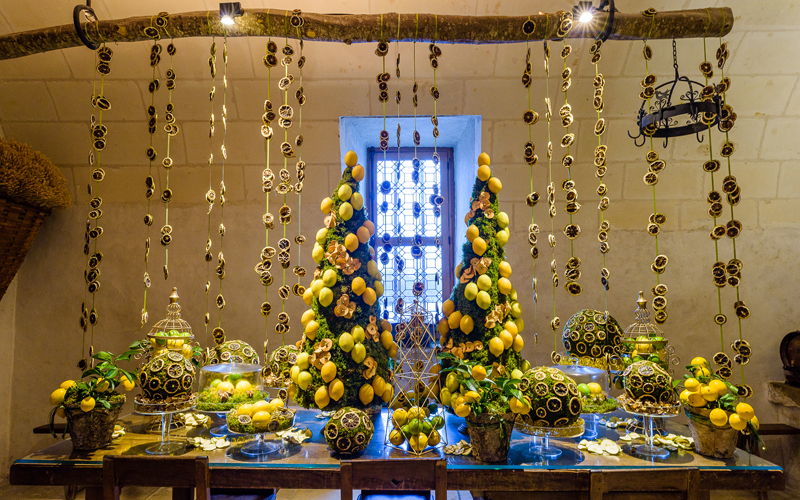 During the festive season, exceptional floral arrangements and lavishly decorated Christmas trees ornate the Grand gallery, Louise de Lorraine’s black bedroom, the kitchen…Those floral creations are more and more creative and innovative each year. This year, the theme, directly inspired by Queen Catherine de Medici will undoubtedly astonish and… will dazzle the eyes of the youngest and the oldest alike! 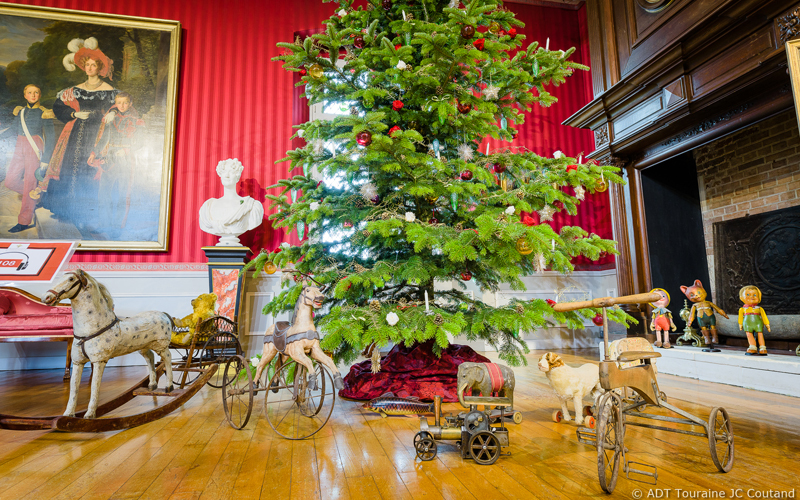 Entertainment: family friendly workshop about the traditional Christmas decorations, in the Grand gallery, during the school holidays. Royal Fortress of Chinon: the history of the Christmas tree from the Middle Ages to present day. This year, you are invited to discover the history of the Christmas tree at the Royal Fortress of Chinon: from the Medieval times with its original shape and decoration until nowadays with a more contemporary interpretation. Entertainment: Sale of medieval pastries, family friendly entertainment will be scheduled. Château de Langeais: a thousand festive lights. Lights are part of the festive season. During the Middle Ages, the light from wax candles was much preferred to smoky torches, oil lamps or tallow candles. As wax candles were expensive, they were considered as a luxury product. 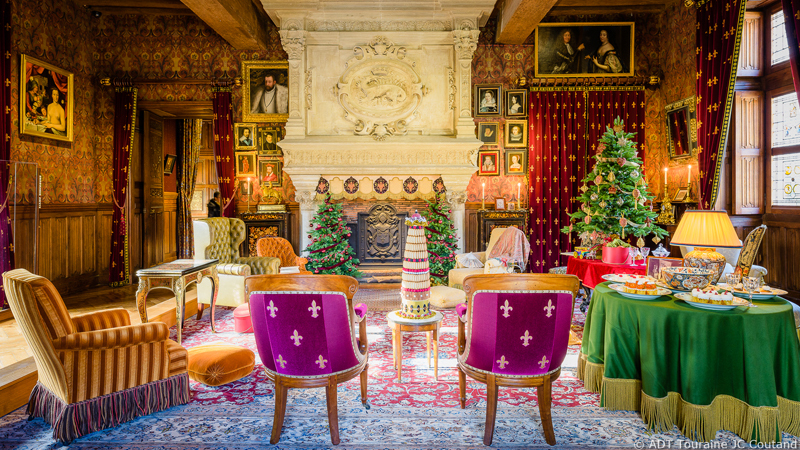 During the festive season and for “Christmas in the land of chateaux”, visitors will discover inside the chateau, the magic of Christmas through the tradition of light: flowers and lights will be arranged together and be used to highlight the rich collection of furniture and tapestries. Entertainment during Christmas holidays: the story of the chateau told for the youngest children, fitting of medieval costumes for families, guided tours on the theme of light in everyday life during the Middle Ages. Royal city of Loches: Winter tales. To celebrate the festive season, the royal city of Loches invites you to rediscover classic tales, which has inspired our contemporary representation of Christmas. 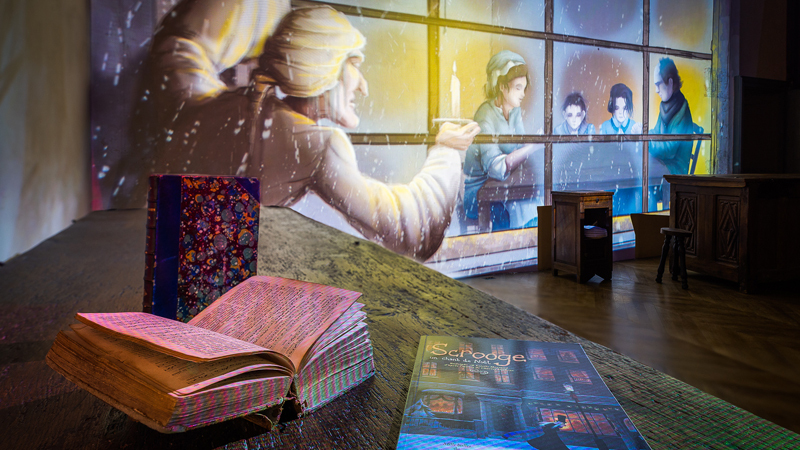 Visitors will be invited to rediscover the classic chosen this year, a “Christmas Carol” from Charles Dickens. The crucial moments of this fantastic and supernatural tale will be depicted through images and sound in the main room of the “logis royal”. Children entertainment: Public reading of the tale “A Christmas Carol” every day at 3:00 pm and workshops to create Christmas wreaths will be offered. Magic every day for a month! These tours are available every day from the beginning of December to the beginning of January, including outside school holidays, at no additional cost compared to the usual price. During this period, each of the participating châteaux also hold regular events (workshops, singing…). And while you’re there, why not do a bit of shopping? Whites, rosés or reds, Touraine wines go superbly well with your festive meals so remember to take back a few bottles with you. Terrines made from the wild fish of the Loire are sensational on toasted bread, as is the local foie gras. You can also root out a few black truffles in Touraine, a festive ingredient for sure. In the basket weaving village of Villaines-les-Rochers, local craftsmen create original wickerwork tree decorations which will hang effortlessly alongside the handcrafted glass baubles from the Maison Verart, in Amboise.